Unbeknownst to the general public, the "red line" on the Iranian crisis was moved back by several months this past summer, averting what could have turned into a major international crisis, an Israeli official said Tuesday. Iran quietly chose recently to use more than a third of its medium-enriched uranium for civilian purposes, thus delaying their ability to make a nuclear bomb, said Israeli Defense Minister Ehud Barak in an interview with the Daily Telegraph newspaper. 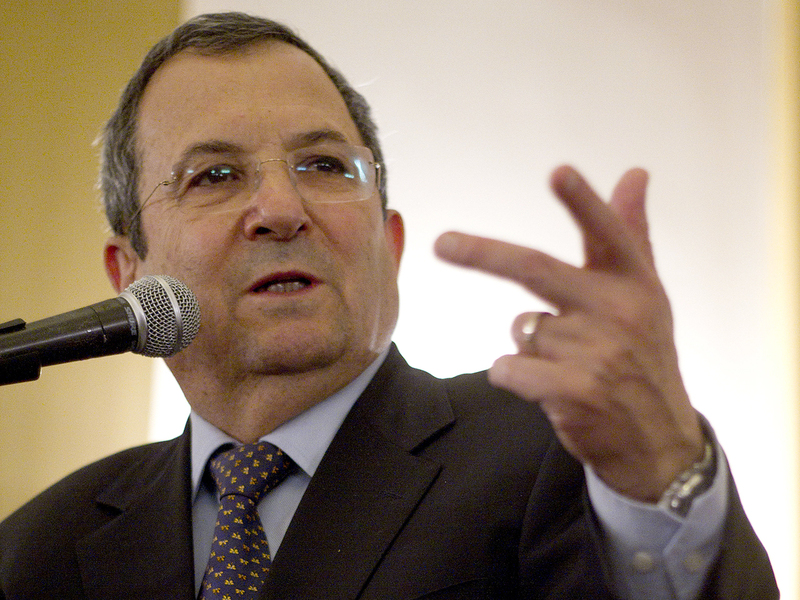 The move "allows contemplating delaying the moment of truth by eight to 10 months," Barak said. Much has been made in the U.S. and elsewhere this year over the "red line" on the Iranian nuclear situation, which would be the moment at which Western allies and Israel would feel forced to act militarily to prevent Iran from developing a nuclear weapon. Barak said that while Iran's recent decision to use some enriched uranium for civilian purposes delayed the need to decide on a possible military strike, Western powers would likely still have to face the decision again in 2013. CBS News correspondent David Martin reports Mitt Romney spelled out what he considers his "red line" in early October, saying: "The United States and our friends and allies will prevent them from acquiring nuclear weapons capability." That last word -- "capability" -- which he also uses on his campaign website, significantly shortens the time before Iran would reach Romney's red line. His campaign refuses to specify what he means by capability, but the term usually refers to Iran's stockpile of enriched uranium. President Obama appears to have a "red line" that would allow more time for diplomacy, insisting Iran has not yet made a decision to go for the bomb. Even with enough enriched uranium, Mr. Obama has implied Iran would still need a year or more to actually build one. "America wants to resolve this issue through diplomacy and we believe that there is still time and space to do so," President Obama said. In his Tuesday interview, Barak echoed the sentiments of Israeli Prime Minister Benjamin Netanyahu when he cast doubt on the ability of diplomacy and sanctions to solve the crisis. Netanyahu's red line: Attack on Iran close? "To tell you the truth, out of long experience of the Middle East, I am extremely skeptical about the chances that it will lead the ayatollahs to sit together at any point in the foreseeable future and decide to give up their intention to go in the footsteps of Pakistan and North Korea and turn into a military nuclear power," Barak said. Both Barak and Netanyahu have indicated Israel's "red line" on Iran is much closer to Romney's. In a speech at the U.N. in September, Netanyahu said next summer would be the point of no return for Iran's nuclear program, much like Barak did in his most recent interview. Netanyahu said Iran's nuclear program must be stopped "before Iran gets to a point where it's a few months away or a few weeks away from amassing enough enriched uranium to make a nuclear weapon."